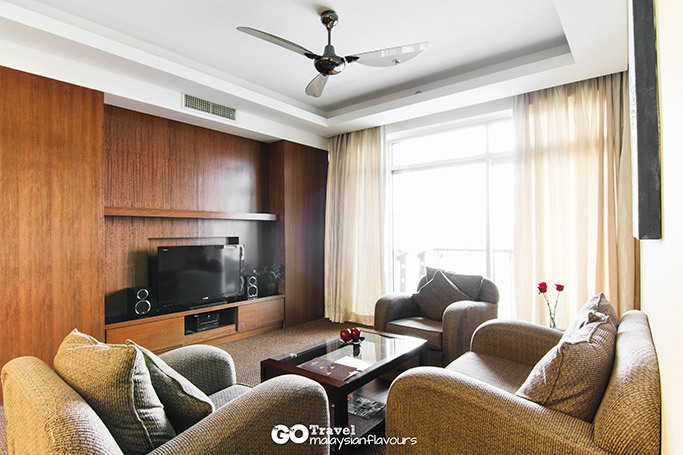 We blogged about The Gardens Hotel at Mid Valley City Kuala Lumpur in our previous post, a 5-star hotel that offers all the basic amenities for short staycation. Adjacent to the hotel, another spectacular building stands tall, which is The Gardens Residences which offers equally sophisticated layout for luxury living, preferred choice of accommodation for families or on extended stay. The Gardens Residences occupies 199 units of fully serviced residences out of 647 premier accommodations of The Gardens Hotel & Residences – St. Giles Grand Hotel (448 units of hotel guest rooms). Separate entrance and lobbies for both buildings to ensure safety and privacy. Each unit is complete with kitchen, living room, dining area and living room. 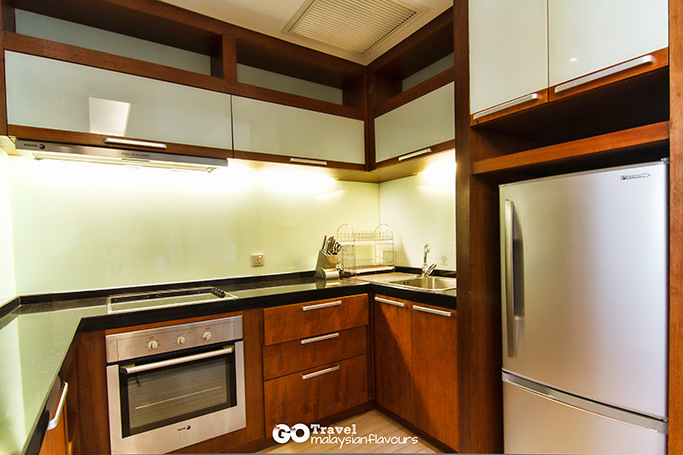 Microwave, oven, toasters, kettles, cutlery, refrigerator, kitchen utensils, food storage and containers are all well organised in the kitchen area. Living room with comfortable sofas and coffee tables, LCD TV with satellite channels, hi-fi set with DVD players. The Gardens Residences is inclusive of 71 One Bedroom Deluxe of 79sqm. 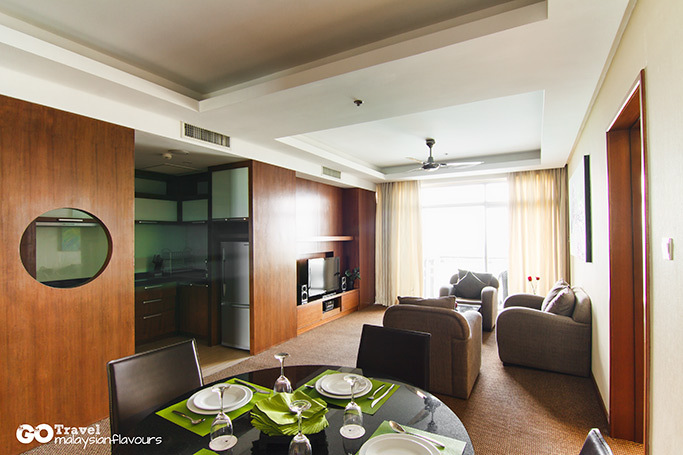 for each unit, 24 One Bedroom Premier of 84sqm for each unit, 48 Two Bed Room Deluxe of 115 sqm. per unit, 48 Two Bedroom Premier of 130sqm. per unit, and 8 Three Bedroom Premier of 200-216sqm. per unit. The room is furnished in grey-brown colour tone, fully carpeted and lightly decorated with wall poster. Simple, modern, yet elegant. Each unit of The Gardens Residences also comes with in-room voicemail, broadband internet access, self-laundry service laundry at alternate floors and other modern facilities to ensure satisfying stay for each guest. Guests can access to gym, swimming pool and hotel via the 5th floor. 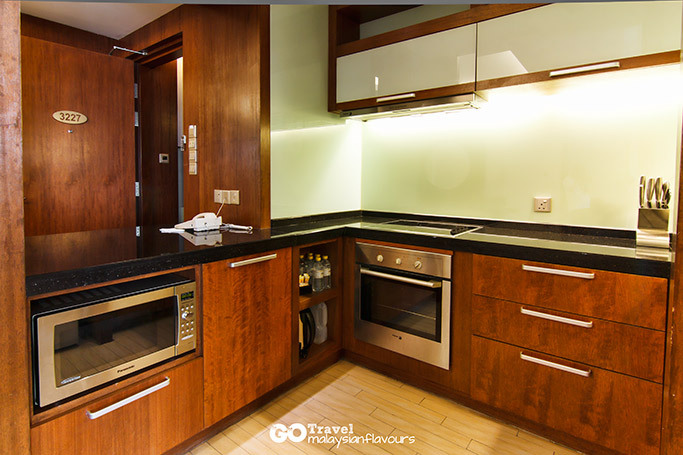 In short, The Gardens Hotel & Residences – St. Giles Grand Hotel, Mid Valley City KL brings in great accommodation for short or extended stay that combines leisure, shopping, dinning, entertainment and convenience with shopping malls and transportation nearby.